Brian Gavin vs Blue Nile: Which is Better? Brian Gavin is a good online retailer for the highest quality diamonds. How does it compare to Blue Nile? Read our comparison chart below. While Blue Nile offers a huge selection of diamonds from wholesalers all over the world at a low price. Blue Nile has a Price Match Guarantee, where they’ll match the price if you find a comparable diamond elsewhere for a lower price. Compare Brian Gavin with Blue Nile, side-by-side. Read on for an in-depth look, including ratings, reviews, pros and cons. Brian Gavin offers a 15-day return policy. The return package must be returned via USPS Registered/Insured Mail for the amount of your purchase. The original FedEx shipping/insurance charges will be deducted from your refund. Bezel settings, custom items, and designer rings cannot be returned. 30-day money back guarantee. Blue Nile will send you a fully insured free shipping label via email. Items must be in their original purchase condition, including all product documentation. Lifetime warranty against on all manufacturing defects. Must not have been worked on by another jeweler. Lifetime manufacturer warranty. Terms and exclusions apply. 1-year buy back policy on Brian Gavin Signature Hearts & Arrows diamonds and "Blue" diamonds ONLY, for 70% of the purchase price. Both diamond and AGS report must be in their original, undamaged condition. Diamond buyback program through Mondiamo based on market value. 1 free ring resizing for 1 size up or down; extra charge for more or less than 1 size. Eternity rings cannot be resized. Customer is responsible for round-trip shipping and insurance. Blue Nile provides complimentary resizing for Build Your Own Rings®, and Diamond Bands when within the manufacturer's recommended sizing range, during the first year. Lifetime upgrade policy on all Brian Gavin diamonds. Get 100% credit of the original diamond's purchase price towards a new diamond. You must upgrade in 2 of the following variables: size, color, and clarity. Diamond must have the original certificate. Lifetime diamond upgrade program on all GIA and AGSL graded diamonds. You will receive credit equal to 100% of the original price toward the purchase of a new diamond. The price of your new diamond must be at least twice the price of your original diamond. 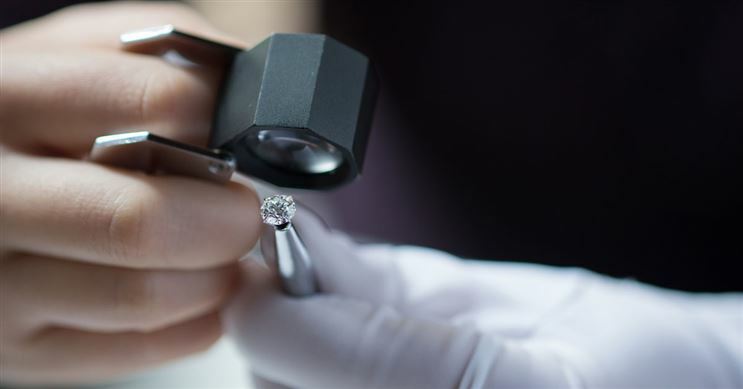 Your diamond must be in its original condition with the original diamond grading report. Which is Better: Brian Gavin or Blue Nile? Still need help deciding which diamonds is better? Read the in-depth reviews below. You may also be interested in comparing Brian Gavin or James Allen. In short: Brian Gavin's data is excellent. Blue Nile's price and selection are outstanding.